Direct Kitchens has recently completed interior and exterior renovations at its showroom in Bayswater. The showroom exhibits the company’s updated logo and signage, and includes five revamped, state-of-the-art kitchen displays, which range in style from contemporary to Hamptons. The displays showcase a wide range of top-quality hardware, including Blum and Häfele. With 33 years of industry experience, Direct Kitchens always stays atop the current trends in style, materials and hardware, as well as the many space-saving accessories that are available for custom-made kitchens. Customers will find everything they need in order to make informed choices for their upcoming kitchen project. 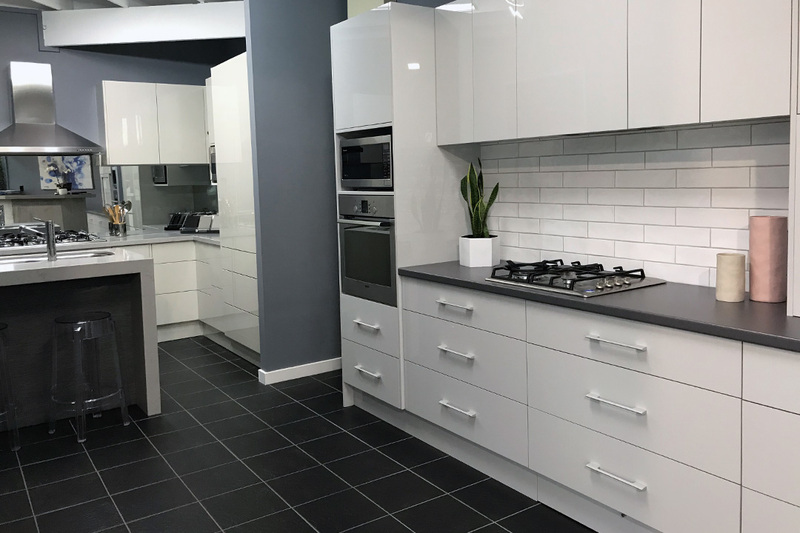 Direct Kitchens’ knowledgeable and experienced showroom consultants are available to help customers at both showroom locations in Bayswater and Moonee Ponds. Contact the company for more information on its free in-home design consultation service.